Simple Keys Weddings features one of the most requested and most experienced﻿ Florida Keys﻿ Wedding Officiants. Serving Key Largo, Islamorada, Tavernier, Ocean Reef, Duck Key & Hawk's Cay to Marathon & Key West since 2007, Bill is a resident of the Keys & will personally work with you to make your special day most memorable. 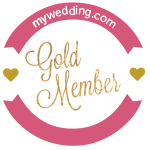 Choose from a vast variety of ceremony options and additional "mini ceremonies" all customized with you, for the perfect wedding you deserve! 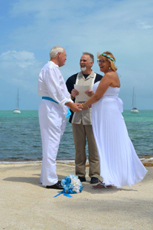 Bill is a full time Wedding Officiant, an Islamorada resident and officiates 130+ ceremonies a year. To date Bill has performed over 700 weddings in Key Largo, Islamorada, and Marathon to Key West so you know he is professional, comfortable and he always meets each with the same excitement, passion & attention to detail that has made him truly become known as ﻿The Florida Keys Wedding Officiant! "We're in the memory business..."
Need more than just an Officiant? Please inquire for additional services you may require & we'll recommend the best! Please Contact us directly via Email or our Contact Form and let us assist in making your most special day easy, fun, affordable and worry free! Professional, quality oriented, knowledgeable, efficient, helpful and affordable... that's us! Scan our QR with your Smartphone for quick access to our Mobile Site. Save it for your info on the go and forward it to your fiance'!